Some time ago I was writing about my worst culinary failure ever when I made my first miso eggplants. 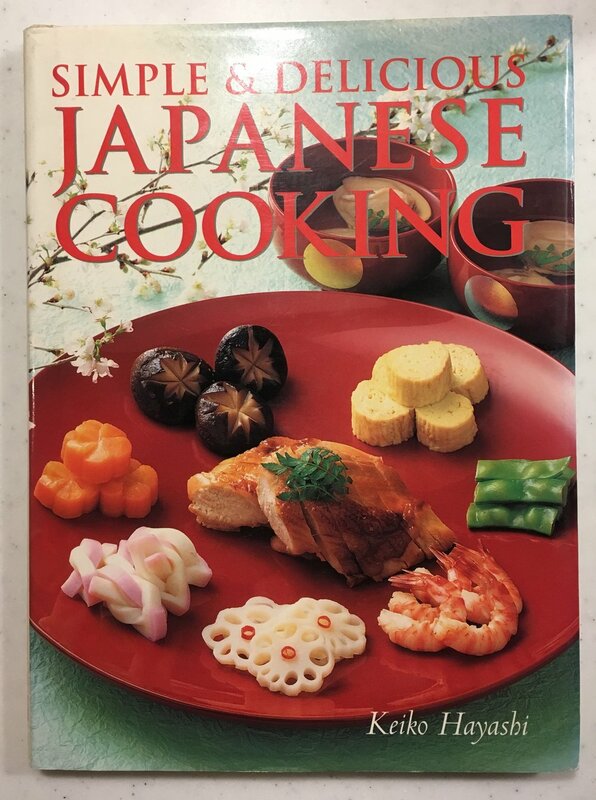 The recipe came from the very Japanese cooking book I bought. And this book has been very precious for us when we started to live in Tokyo. “Simple & delicious Japanese cooking” by Keiko Hayashi has been my Japanese cooking bible for almost one year. And the very first recipe I tried was a shiitake recipe: takikomi gohan, it was also the very first recipe I shared on our blog back in 2004, one that everyone can make, everywhere there are shiitake. And if 13 years ago you could only find them in asian supermarkets, now they are much easier to find. Wash and slice the shiitake. Cut the bacon and grill it in a pan until crispy. In the rice cooker add the rice, wash it, add the dashi, the shoyu, the sake, the shiitake, the meat the gingko nuts. Start cooking in normal mode. That’s it!!! Enjoy! Nov 17 Shiitake week! Day 5!